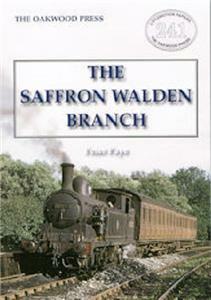 The Saffron Walden Branch traversed the undulating Essex countryside in that county’s north-west corner. When the town was bypassed by the Eastern Counties Railway main line to Cambridge local businessmen stepped in to have a branch line built, but the Saffron Walden Railway had a perilous infancy and was soon in receivership. The line was taken over by the Great Eastern Railway but its hoped-for use as a through line to Suffolk failed to happen and the branch settled down to life as a two section railway. Audley End to Saffron Walden was much busier than the eastern end from the town to Bartlow. In its heyday through passenger services operated to London and during the two world wars the line did its bit for the defence of the country, but despite an influx of commuters in the late 1950s the line closed in 1964 courtesy of Beeching.